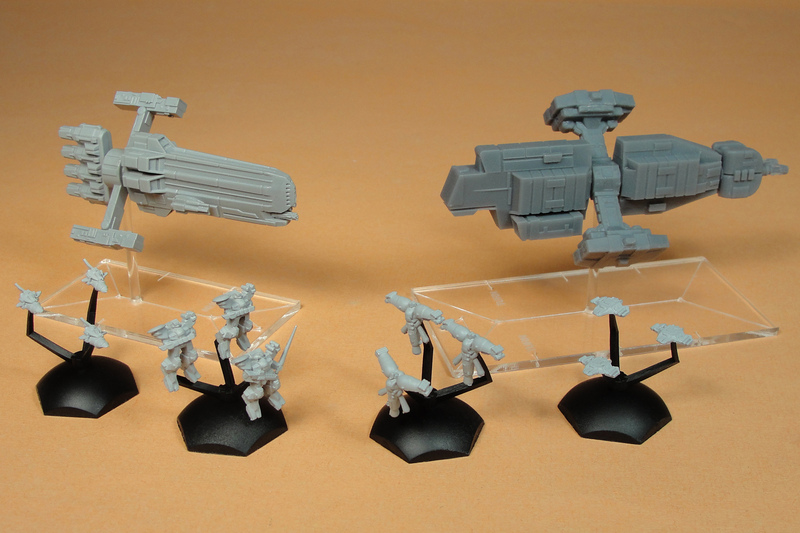 Pick up some new resin minis for your Jovian and CEGA factions with DP9’s latest kickstarter! … the Constantinople and Birmingham ships for the CEGA faction and the Alexander and Majestic ships for the Jovian faction. 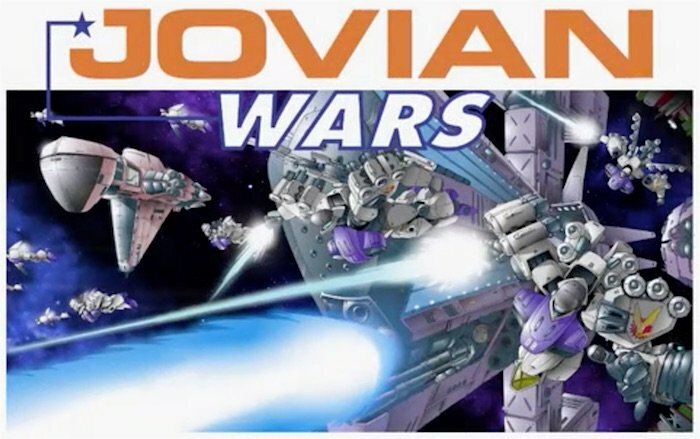 Plus we have unlocked 4 additional ships; the Narwal and Hammerhead for CEGA and Forge and Ypres for Jovian that are available as add-ons to the original Backer reward levels or via a new reward level that includes all 8 ships. 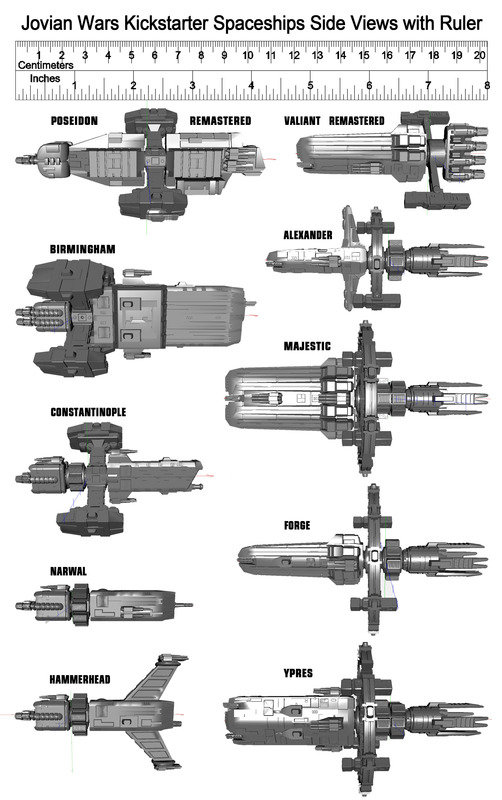 Checkout the image below to see all the spaceships available via the Kickstarter with them all shown to scale and a ruler along the top size. Easy assembly of the new ships is our goal with Engines, Cargo, and Habitat sections that have a large peg in the front to match holes in the back of the Cargo, Habitat and Forward Hull sections. We have also added small centered pilot holes on all the large pegs and in the holes for easy drilling and pinning of the parts if the players want. 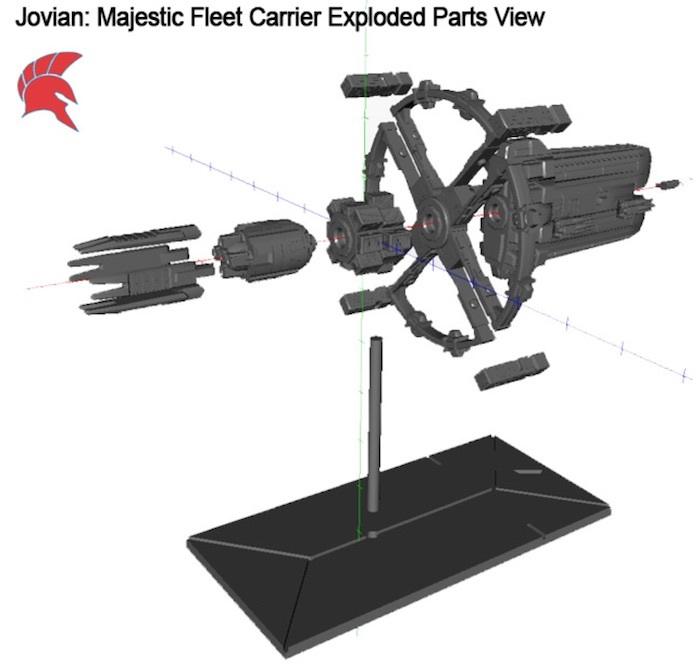 We made two proof of concept ships, the Remastered Valiant and Poseidon, to show our players what the final new resin ships and acrylic bases would look like. Below is a photo of the two resin ships along with our fleet scale Exo-Armor and Fighter Squad bases in front, all are available as add-Oons in the Kickstarter. ~What do you all think?